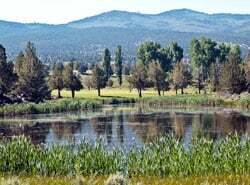 Ponds, woodlands and stunning natural beauty surround our Modoc County, CA golf course & driving range. You'll love golfing in Northern CA's Warner Mountains. Ponds, woodlands and stunning natural beauty surround our scenic Modoc County, CA golf course & driving range. You'll love golfing in Northern CA's Warner Mountains area. Enjoy shopping in our pro shop, a meal in our full-service restaurant and be sure to attend one of our exciting Northeastern CA golf tournaments! Everybody loves golf in Northern CA!